This months REID Rider is the lovely Melissa Luna who impressed us with her Fat Biking adventures on her Hercules! Find out more about her and her bike by clicking here. Want to become our REID Rider of the Month for March? This month on the blog, we handed out some REID knowledge! A Valentines Day special, we explored the relationship between you, your bike and your loved one! Turns out there are lots of benefits to riding together, so why not check them out and then make room for a bike date this week. This month we exhibited at the Chicagoland Area Bicycle Dealers Association (CABDA) Expo alongside our US Distributors; Olympic Supply Company, Hans Johnsen and Down East Bicycle Sales. CABDA was a great chance to exhibit and show off our brand new 2018 range to America for the first time and gain valuable insight from retailers who stock are bikes. Our biggest and best show to date, we couldn’t be happier with the success of CABDA, with a special thank you to Olympic Supply Company for there efforts in making an awesome stand (which you can see below). Hallo Deutschland! This month we launched our German Facebook page to coincide with our new www.reidbikes.de website. We are excited to get to know more of you in Germany and will be attending the Berliner Fahrrad Schau March 23rd to 25th to show you all our bikes! If you live in Germany make sure to like our page to keep up to date with new arrivals, comeptitions and news! To help with the launch of REID in our latest country to enter, Canada, we ran a competition for the month of February to win one of iconic Lady Classics. With over 700 entrants we were amazed at the reception of our bikes in Canada, as this is the first time many of you them will have seen them. 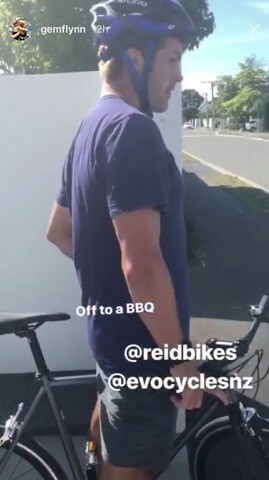 We can’t wait to see the winner riding their brand new bike soon and to have more REIDs on the Canadian roads in general. Keep an eye on our Facebook and Instagram for future competitions! Last month we worked with social influencer and international New Zealand sportswoman Gemma McCaw and her husband, ex All Blacks rugby captain Richie McCaw. Hoping your enjoying your new bikes guys!